^ UEFA Champions League -- History. 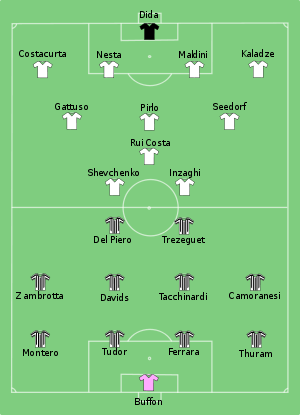 ^ UEFA Champions League 2002/03 -- Semi-finals 互联网档案馆的存檔，存档日期2014-03-17. ^ 半场报告 (PDF). UEFA. 2003年5月28日 [2012年5月20日]. （原始内容 (PDF)存档于2016年3月4日）.